This month the Long Distance Quilting Bee had 2 champions, Annika in Sweden, and Margaret here stateside. 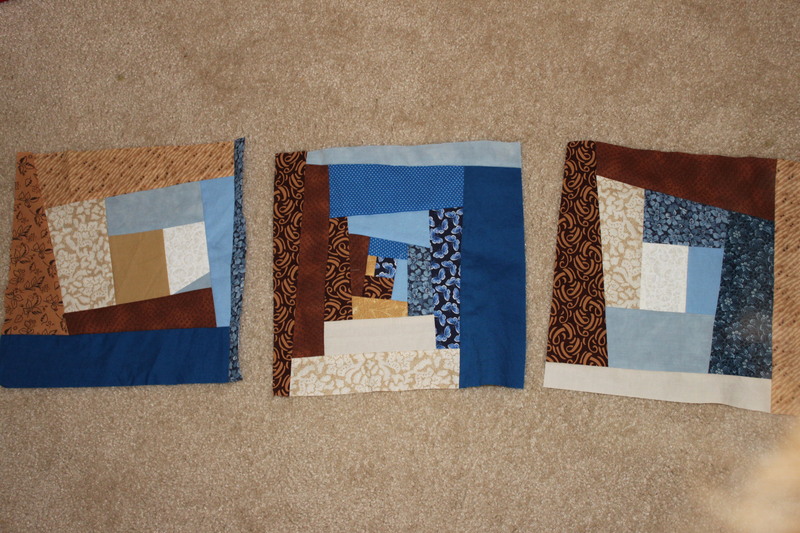 Annika wanted some log cabins, with blue & brown and slight wonk. July was also her birthday so I made a couple extra for her. Margaret just asked for any version of the churndash, with blue fabric. I made one & it came together so quickly that I decided to pop out another! The blocks this month really came together fast. 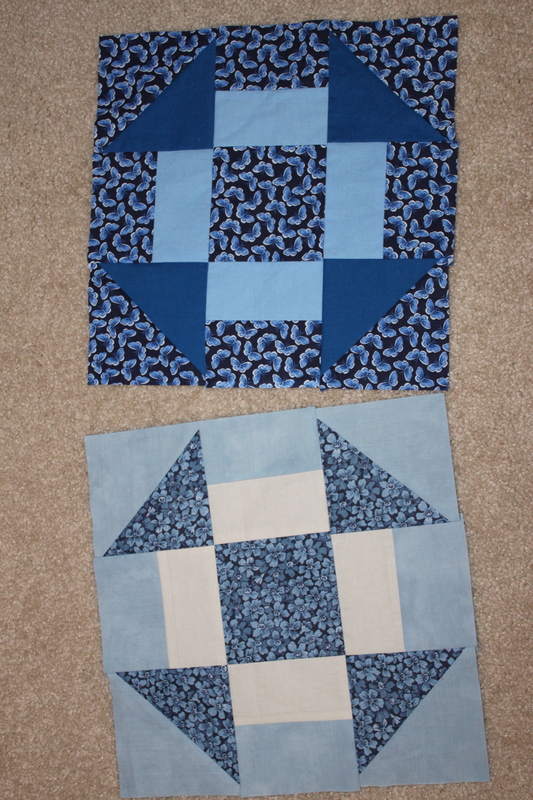 I love the churndashes especially–it makes me want to make a churndash quilt myself!